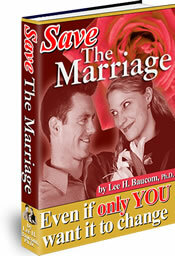 Check here often for updated Relationship Help Articles by best selling author Michael Web. I discovered the most wonderful romantic tool the other day – glow in the dark chalk! I have been having a lot of fun with it. I wrote some welcome home messages to my wife on our front sidewalk. My sidewalk “art” shows up day or early night (the glowing properties only last an hour or so after it is no longer exposed to light). Next, I drew hearts and wrote silly messages all over our white bedroom walls. The graffiti is impossible to see in the daytime, but at night it shows up faintly (the fatter and larger drawings show up better.) Athena got a big kick out of it when she turned off the lights and she saw glowing hearts and sentimental messages surrounding the bed. Clean up was a piece of cake. All I had to do was turn off the lights and I knew exactly where to wipe down the walls. I find glow in the dark stars to be much brighter but the chalk is quite versatile and creative. Chalk one up to romance!